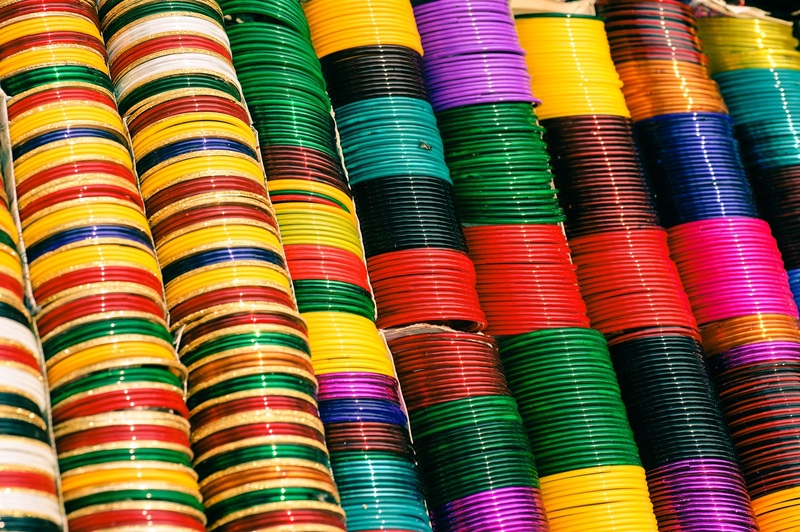 This is a shot of bangles for sale in a shop in the street markets in Varanasi. It stood out from a distance, and was at once intriguing, whether you wear bangles or not. I did not buy them, because they were glass bangles and I was squeezed for space in my suitcase. But I really wished I could. Varanasi is a shopping paradise for all sorts of items. In the many weaving lanes, you can find everything of everyday use at the most reasonable price you can imagine. The copyright terms & conditions can be found here.